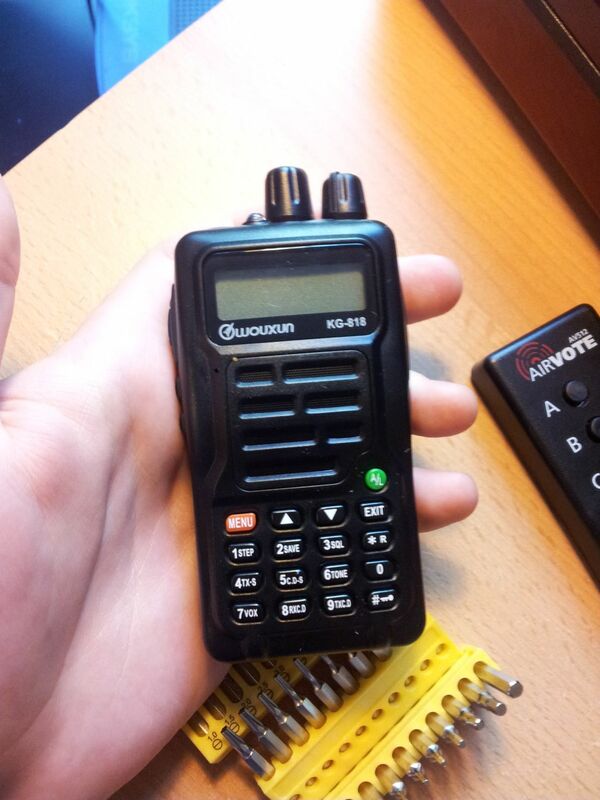 On the Hamradio Friedrichshafen I got myself a Wouxun KG-818 VHF (5W, 136-174.995 MHz). 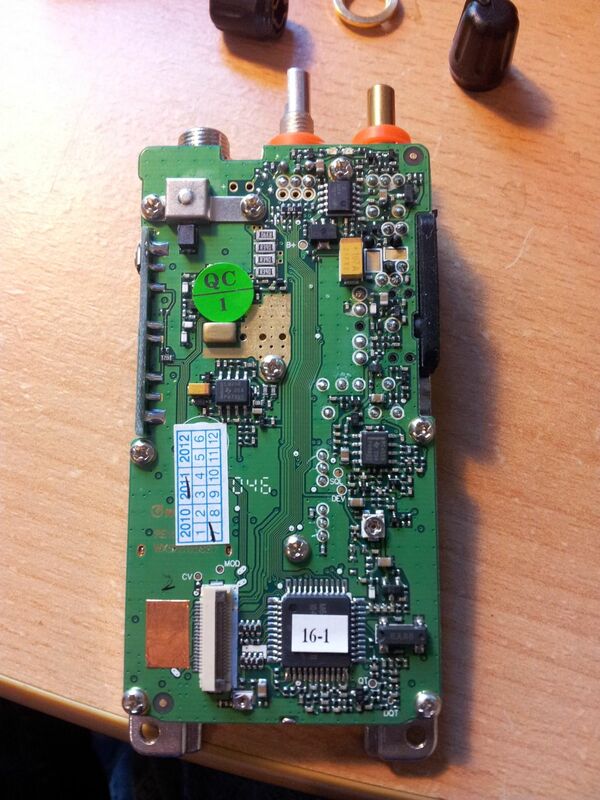 I plan to realize a small APRS transmitter for my car. 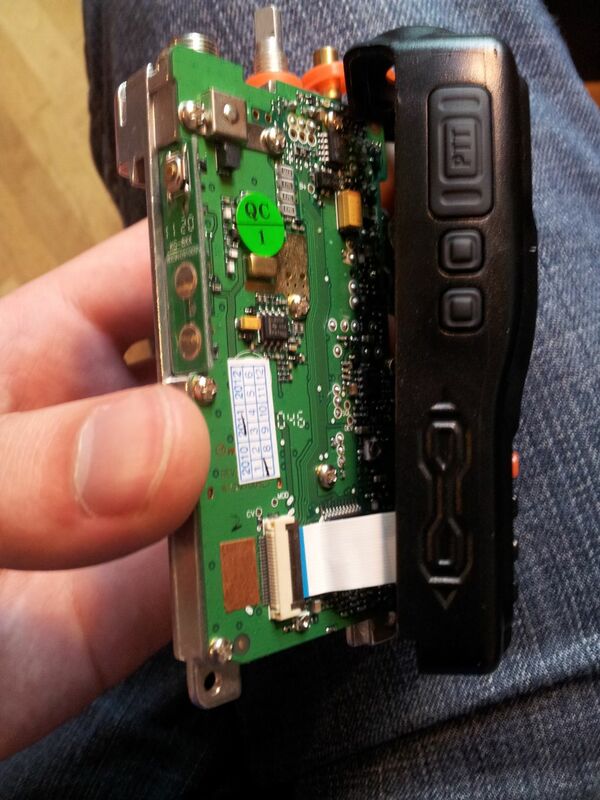 …to slide-wedge the whole assembly bottomwards-out. The dials will come off as well as some plastic thingy. Beware of the ribbon! The two modules. 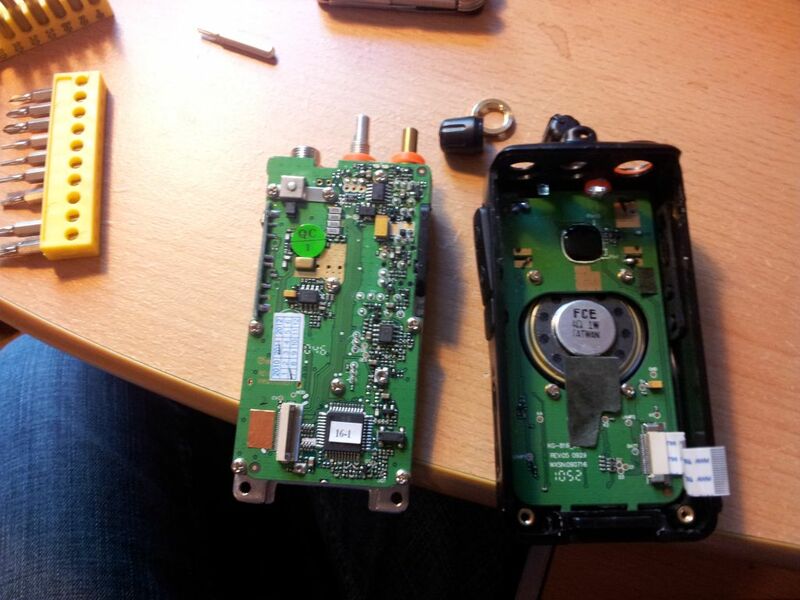 On the left the processor/TRX-board, on the right, the LCD/speaker/kexs section with part of the case. 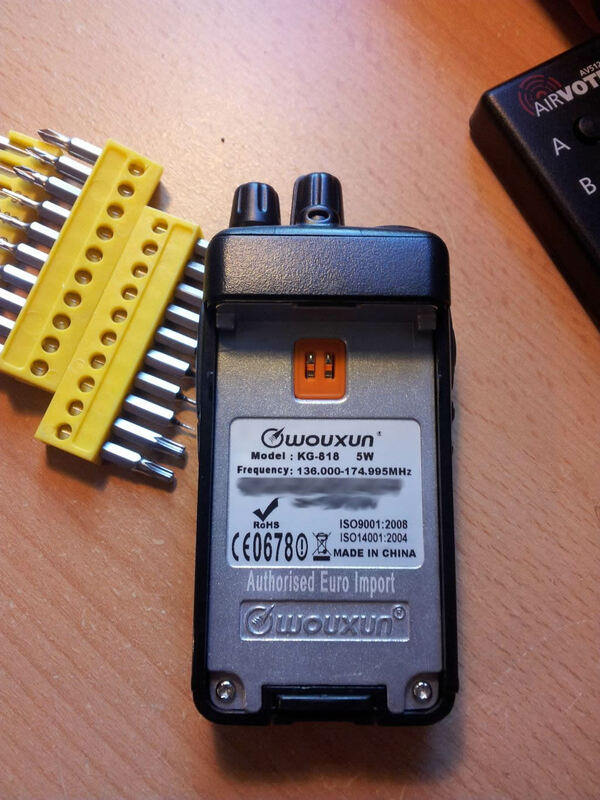 And once again the TRX/Chinagirl-module. 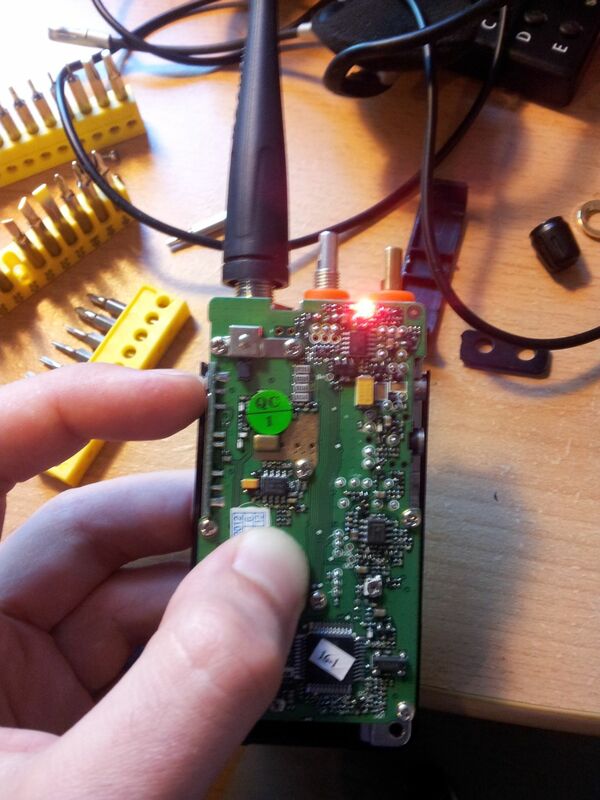 Unfortunately the PCB is soldered to the RF-connector, which prevented me from further teardown, because I had no soldering iron at hand. Underneath the firmwaresticker it reads “M64X802”. 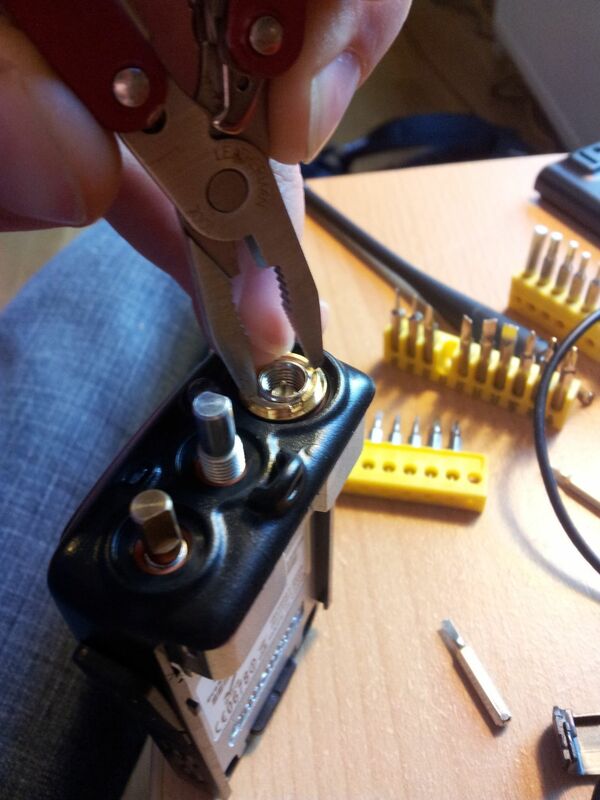 Great!” The TRX works even without its keys/speaker etc attached! Well and that’s about it. I will mod this further so stay tuned.